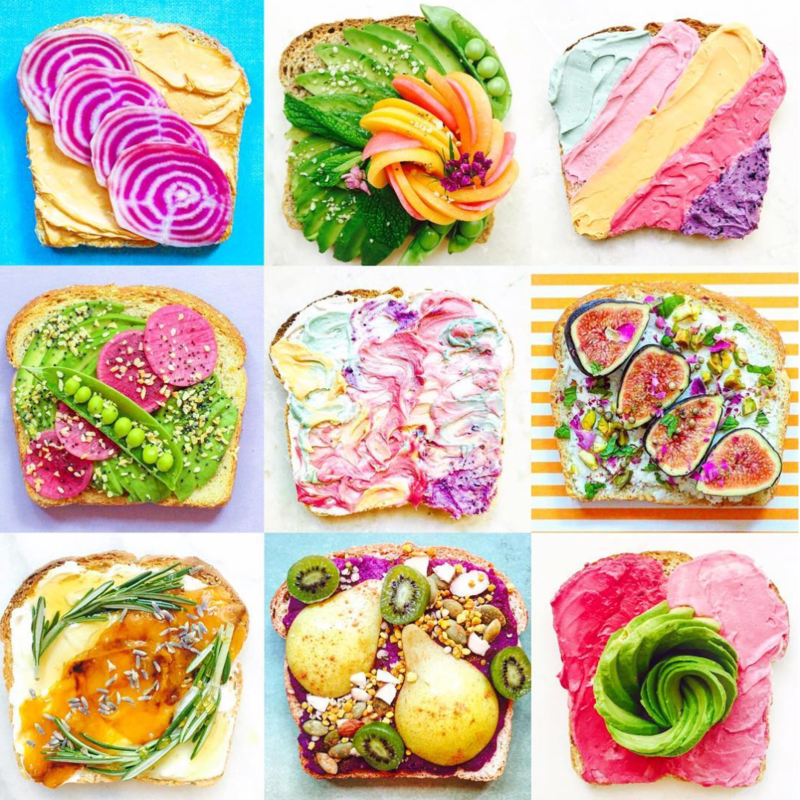 A food stylist from Miami created an Instagram feed for toast – and it’s almost too pretty to eat. Adeline Waugh, 26, sent the internet into a frenzy after uploading a photo of pastel-colored toast with the tag #ToastTheRainbow. Fans of her feed immediately took to calling it Unicorn Toast, and we think it’s worthy of the name. Waugh uses only all-natural ingredients to color her toast, Cosmopolitan reports. Freeze-dried blueberries, beet juice, and tumeric route give the cream cheese its dreamy pastel colors, but don’t alter the taste. “It looks pretty, but it just tastes like a piece of toast with cream cheese,” Waugh told Cosmopolitan. In just one year, Waugh turned her gorgeous and colorful feed into a career. "After endless practice and really honing in on my own aesthetic, companies started reaching out to me to style, photograph, and create for them," she told Cosmo. Waugh's feed features a lot more than toast: You'll also find salads, smoothies, and plates of colorful fruits and veggies. The feed proves that healthy food CAN be beautiful. This feed proves that healthy food CAN be beautiful.